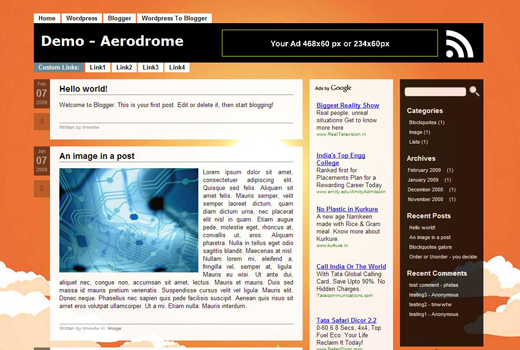 Aerodrome blogger template for free download on Blogger Templates. Your templates are so cool but i have loading five different templates which i love and got the same complain-i dont know why am having undefined on the templates.Please assist. Hi. How do you change the template to show the “read more” after a post snippet?